Gæðastjórnunarnámskeið í samstarfi við Origo og Proment. Tími: Mánudagur 13. maí kl. 9-16. Viltu fækka óvæntum atvikum og minnka áhrif þeirra? Námskeiðið Problem management kennir þér öflugar aðferðir til að greina ástæður atvika og leiðir til að koma í veg fyrir endurtekningu þeirra. Kennt á ensku. In a fast-flowing river, it can be hard to spot that you are about to be bitten. Yet every day, we have innumerable small warnings of incidents that may be about to happen. It’s in the nature of complex systems that we cannot predict and prevent all mishaps, but we can certainly do more. This seminar will work through a series of relevant case studies applying Kepner-Tregoe’s Problem Management methods to get to the real causes, provide fast remedies, and most important for Problem Managers, prevent the incidents, improve troubleshooting, as well as reduce the quantity and impact of incidents when they occur. *Drive a high quality and consistent troubleshooting process. *Enable your team to think and communicate clearly and confidently under pressure. *Eliminate trial-and-error behaviour, waste and loss of key data. *What does the manager of a world class Problem Management team pay attention to? *Why are good Problem Managers valuable to an organisation? *How can a high-performing team be managed, motivated and driven to exceptional results? Deputy Head of Quality; Head of IT Service improvement; Head of service desk; Incident Analyst; Incident Manager; IT Consultant; IT Delivery Manager;IT Operations Manager;Major Incident manager; Manager, Operations Centre; Problem manager; Service Delivery Analyst; Service delivery manager; Service Manager for Major Incident Management; Service Manager IT;TAMS Senior Application Manager. 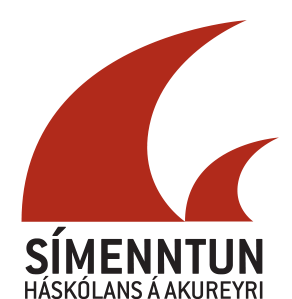 Innifalið í námskeiðsgjaldi eru námskeiðsgögn, morgun- og eftirmiðdagshressing ásamt hádegismat. Rétt er að benda á að hægt er að sækja um styrk í starfsmenntasjóði stéttarfélaganna. SímenntunHA áskilur sér rétt til að fella námskeiðið niður eða auglýsa aðra tímasetningu ef lágmarksþátttaka næst ekki. Experience covers over 500 service improvement projects, mainly in IT Service Management, but also in CRM, Contact Centre and other service delivery areas. His focus is in helping individuals and organisations through change successfully, regardless of tools or methodology. His goal is to keep developing new approaches and ways of delivering these. Set up in 1991, ITSMF UK is the founding member of an international network of 53 national IT service management groups. It is a global community that now has over 6,000 member organisations, representing over 70,000 individuals working in the field of IT service management. ITSMF UK is the country's leading association for organisations involved in IT service management. Verð: 96.000 kr. Snemmskráning: 15% afsláttur 81.600 kr. til 12. apríl.